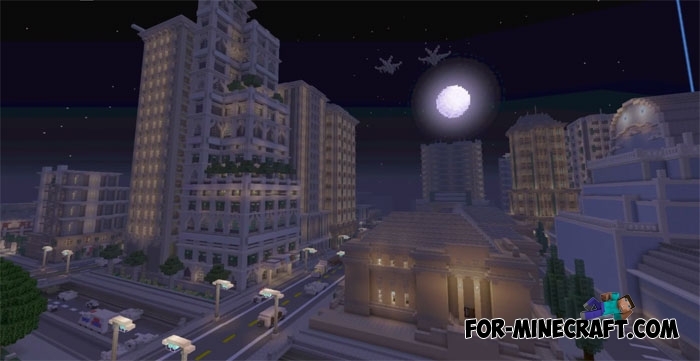 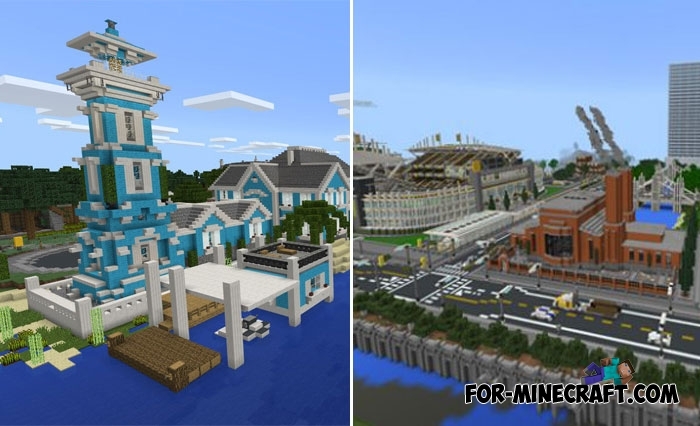 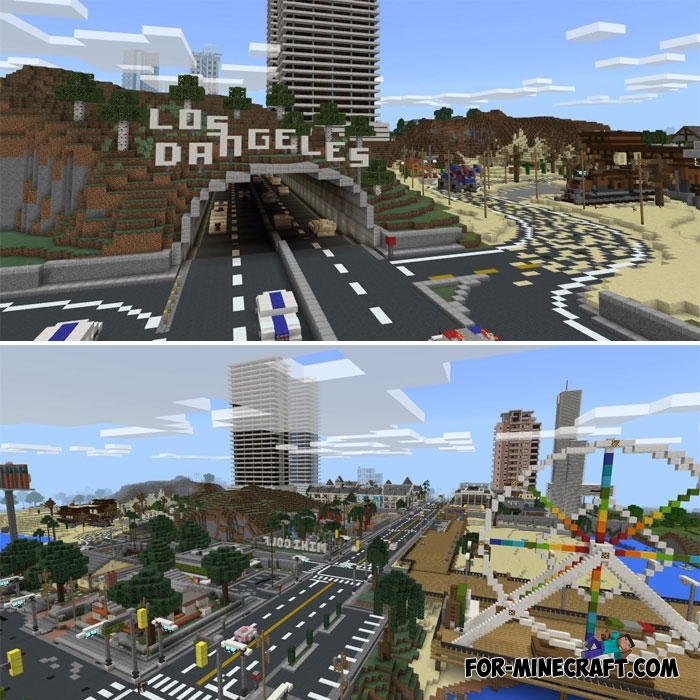 Los Dangeles is a fictional city for Minecraft PE 1.2 having nothing to do with L.A. except for some buildings. 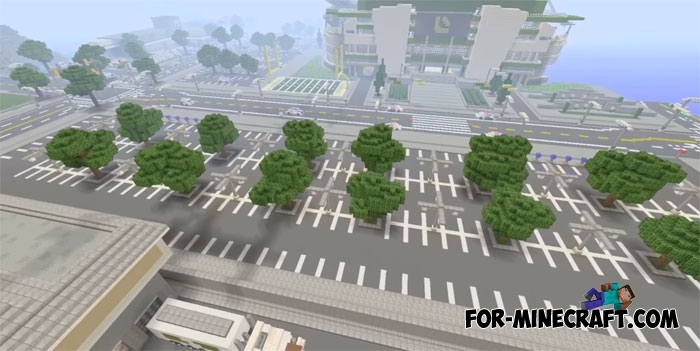 This is quite a large city by the standards of the game consisting of hundreds of buildings that are located according to the plan of the city. 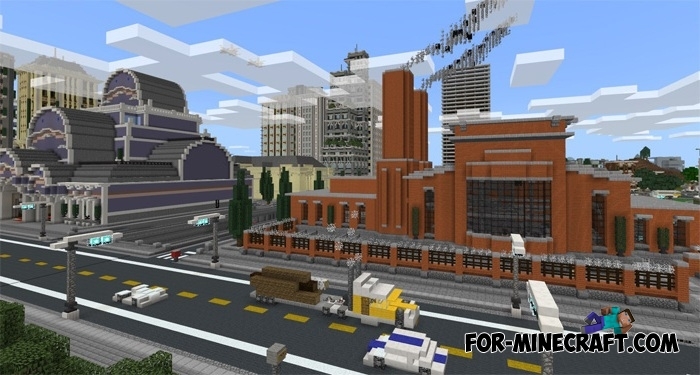 That is, you will not see lonely buildings in the center of the street, the map creator relied on realism when creating the city. 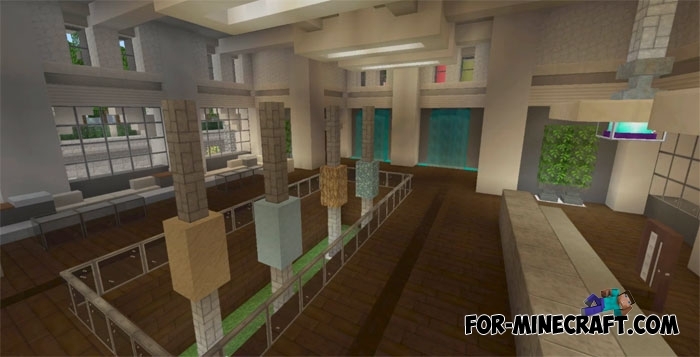 One can confidently say that Los Dangeles is the most decorated city of all, even the smallest details have been observed. 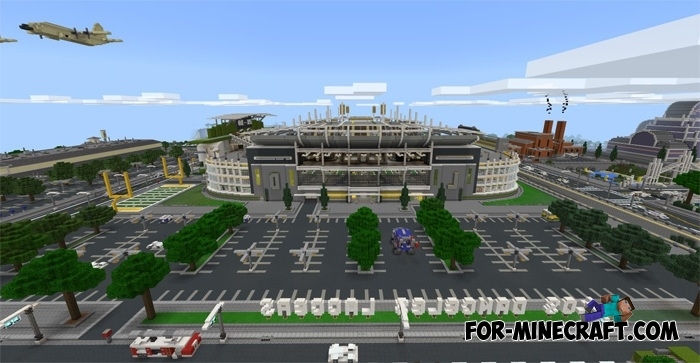 For example, each store or any public place has a furnished interior, the streets of the city are filled with cars, near the airport you will see planes coming in for landing and much more. 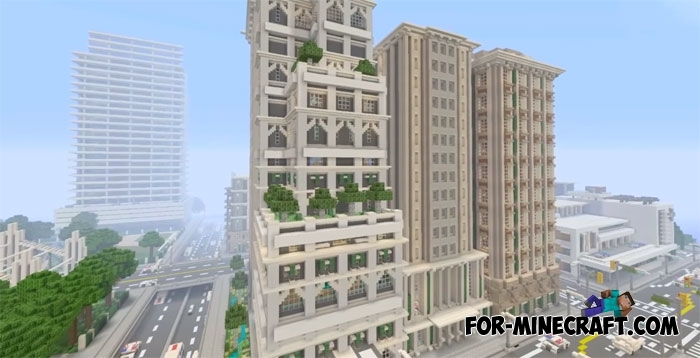 If you need more details then watch this video where the city is detailed and described.